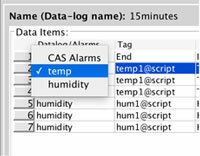 Aggregated values are the values from one or multiple data logs aggregated using the “aggregate” function. 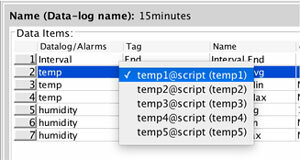 You can add an arbitrary number of values (columns) from multiple data logs. First item in the table is always Interval End. 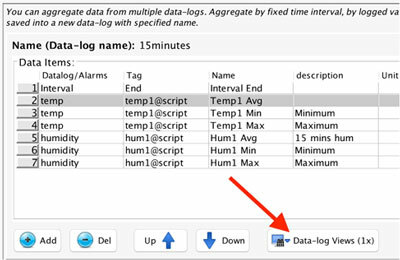 Aggregated data log has always two dates: start and end of interval. If you want to perform a search by this item, tick it please.